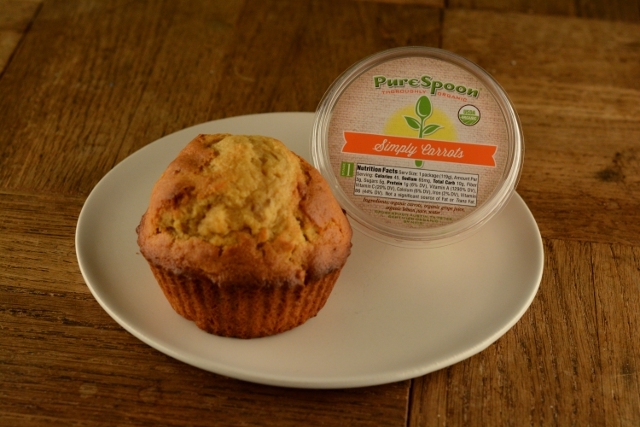 I’m here to tell you about Pure Spoon, a line of organic purees for kids! Normally I don’t cover food for kids, but this seemed way too perfect to pass up. My niece and nephew are nearly 2 and 4. Sometimes I spoil them with toys, but I know that their parents and I both prefer it when I give them the really good stuff AKA Pure Spoon. This is a puree that comes in 11 different flavors. 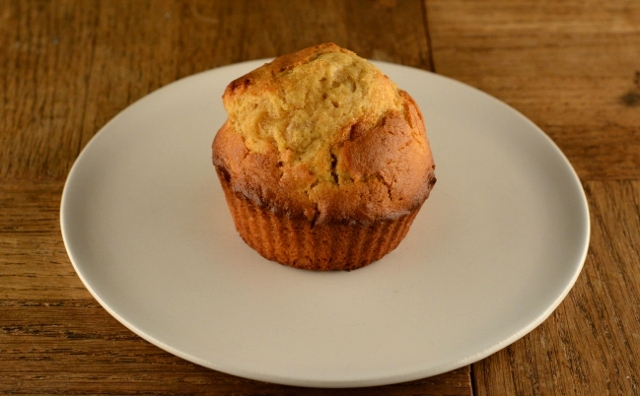 I picked the most basic to dazzle you with an amazing carrot cake muffin recipe. Tasting the batter, and we were convinced we wouldn’t find a better flavor at the fanciest bakery. This is probably because of the way Pure Spoon is made. They use HPP or high-pressure pasteurization which is a technique using cool temperatures. Essentially, the cool factor allows for higher levels of flavor and nutrients to remain after pasteurizing. Pure Spoon isn’t something that you might accidentally taste and want to spit out. The myth that pureed food for kids is all a bit weird tasting is a thing of the past. Made with organic fruits and vegetables and nothing artificial means you don’t need to stress about what your kids are eating. From Simply Carrot (in my recipe below) to Creamy Avocado & Pears to Apples & Broccoli, there is a flavor that your kids will love. Each container is 4.2 ounces which can be found at stores like Whole Foods or Target and online with front door delivery. 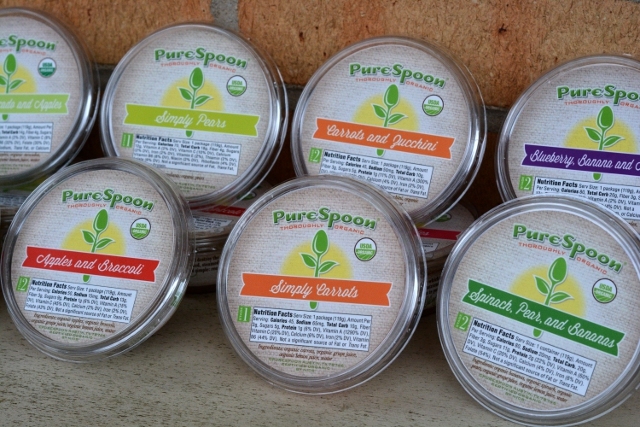 With that in mind, you can enter to win a sample kit of Pure Spoon like the one I received! This includes 17 samples of Pure Spoon for you to try! I doubt you’ll go back to those shelf stable choices once your kids fall in love with Pure Spoon. All you have to do is “Like”, “Follow” or “Friend” Pure Spoon on Instagram, Twitter or Pinterest using the #NewYrBetterU. Comment below after you have done so for a chance to win! Contest is only available to people in the Continental US through Feb 28th, 2017. The best and healthiest carrot cake muffins to appease your entire family. Using Pure Spoon Simply Carrot puree for big carrot flavor. Cream butter and sugars until combined about 2 mins on medium. Add egg and yolks, one at a time until incorporated. Add baking powder, salt, vanilla and mix. Add spices and 1 cup of flour and mix. Add 1/4 cup buttermilk and carrot puree and mix. Add rest of remaining flour and mix. Add remaining buttermilk and mix. Chill for at least 20 minutes. Scoop into desired muffin pan. Bake at 450°F until domed on top roughly 10-14 minutes depending on size of muffin. Reduce heat to 350°F and bake until done roughly 8-12 minutes. Do not open the oven door. You can use your oven light to check, but do not open the door.